Today I wanted to share a subject that is precious to my heart- spending time meditating on scripture. Over the years of being a Christian I have studied scripture in different ways. In college theology was my major and became the deepest study of my life. After college I felt incredibly blessed to have had the foundation of theology so that the relationship that I cultivated with the Lord grew more and more and was beyond just being based on emotion. I loved having the opportunity to study and understand the Bible and memorize scripture. The truth is I still love getting into God's word everyday - throughout the day and need the Lord more than ever each day. 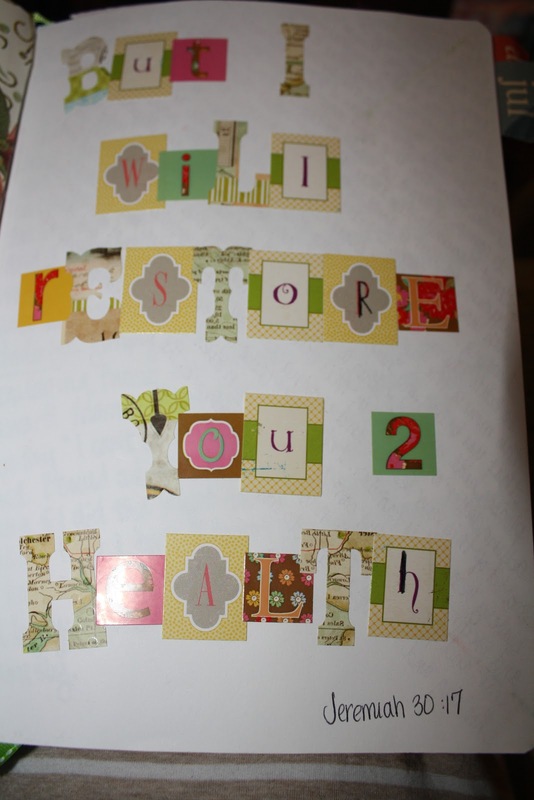 Sometimes I cut up strips of paper and then write down all of my fears, worries, or concerns. 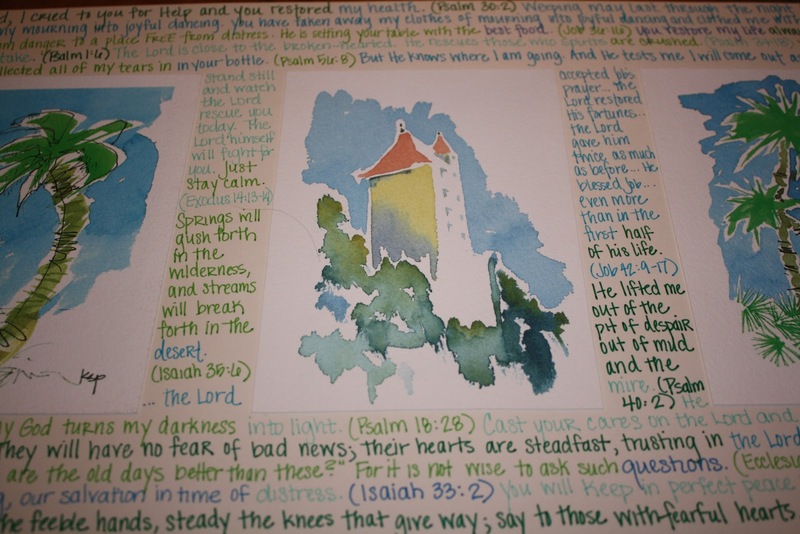 I then paint over them and then write scripture truths on top of that. Sometimes I like to decorate certain words that are really speaking to me. 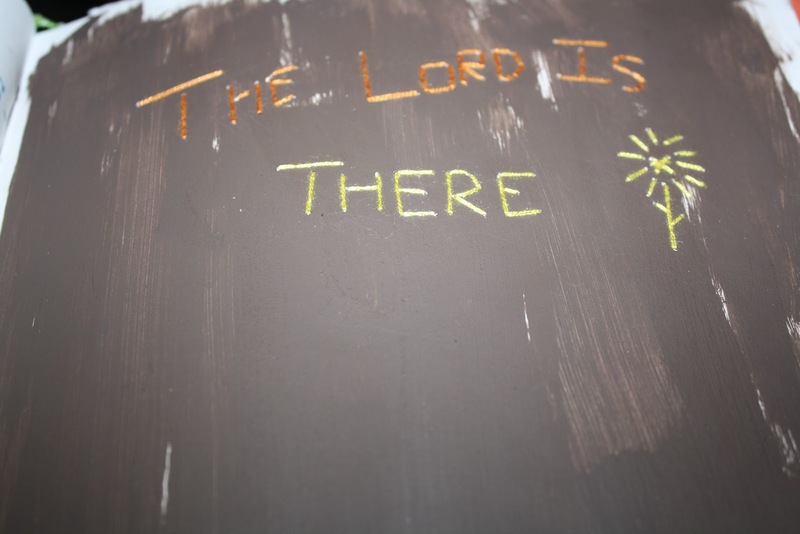 I love cute stickers so sometimes I like to use them to write out the words of the scripture. A couple of years ago (on my last senior trip as a chaperone) I came across this verse from Ezekiel. It was perfect for the time as I was struck by the hope, promise, and security that the verse promised. I spent time journaling it but I also "paper sewed" it into my journal. To this day it is still one of my favorite verses on this journey! 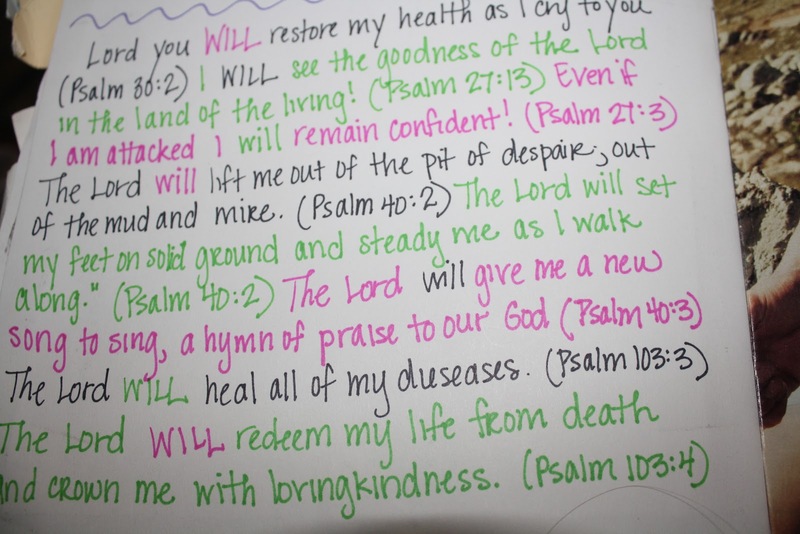 Last year I wanted to write down scriptures that I am praying for me and a dear friend of mine. I found the perfect picture frame to do this with and I love how it turned out! 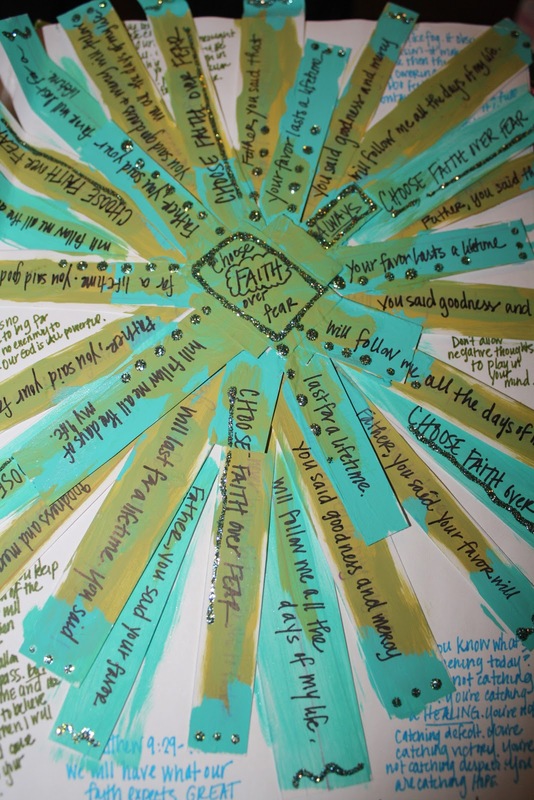 These are just a few of the small ways that I meditate on scripture. Some other ways I will show you in the upcoming weeks but in the meantime I would love to know how do y'all meditate on scripture? What beautiful ideas. Thank you for sharing them. Aww thank you Marci!! 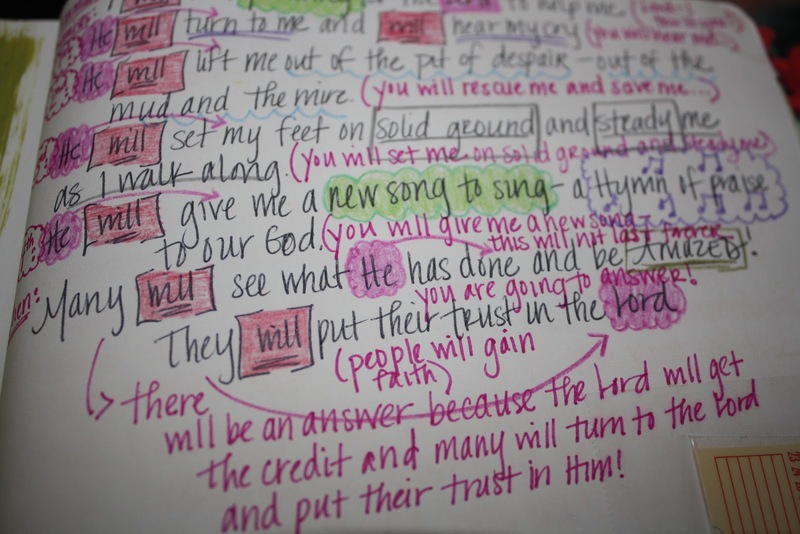 Being creative helps me memorize scripture and meditate on it! So it is a joy for me! :) I hope you had a wonderful weekend and are having a lovely Monday! I love this! 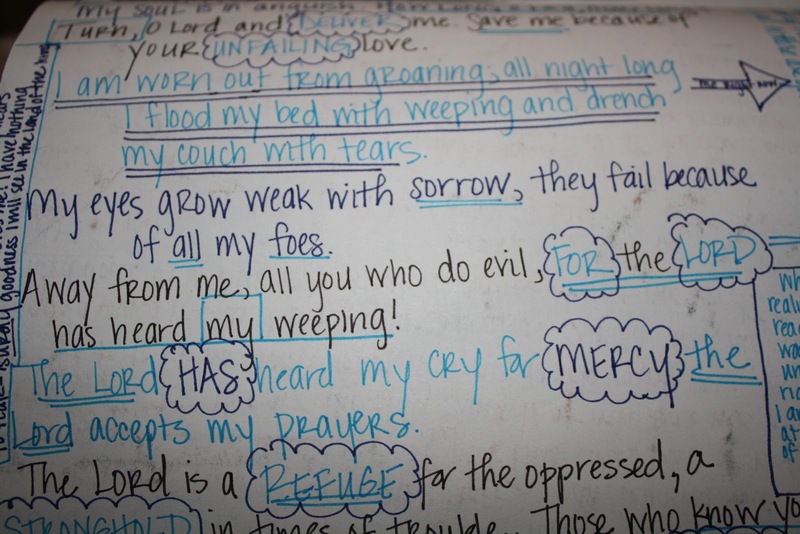 Writing out Scripture has always been really helpful for me when it comes to memorizing it and laying it in my heart. I love this glimpse into your walk with God! Thank you so much for your sweet words of encouragement ! Writing out scripture and seeing it on a consistent basis is always a way for me to really meditate on it ya know? I have loved delving more into scripture and meditating on God's word in a "creative way" over the past years. It has definitely helped me to really remember and memorize scripture! :) Thank you again for your kind words! How wonderful. I am like you. I love studying scripture. 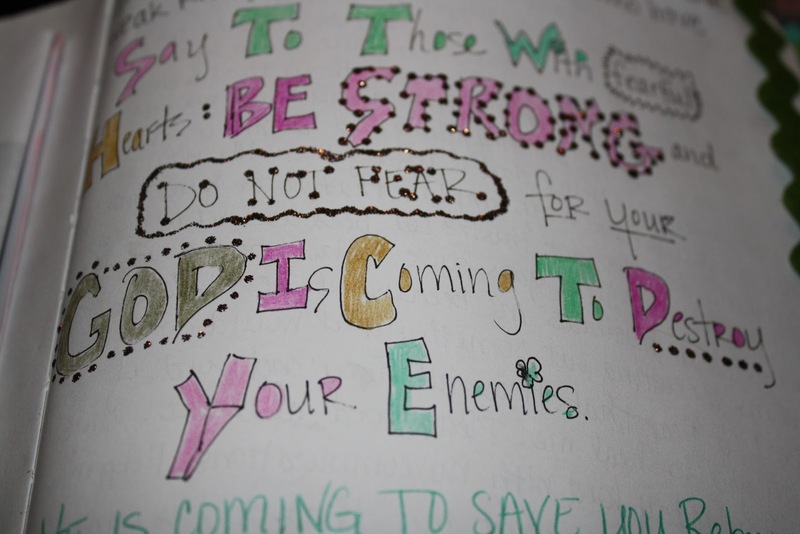 I love how God's word changes us and everything around us. Thanks for sharing. That is so true that God's word changes us! I love how you said that!! Thank you so much for taking the time to comment!! These are so gorgeous! 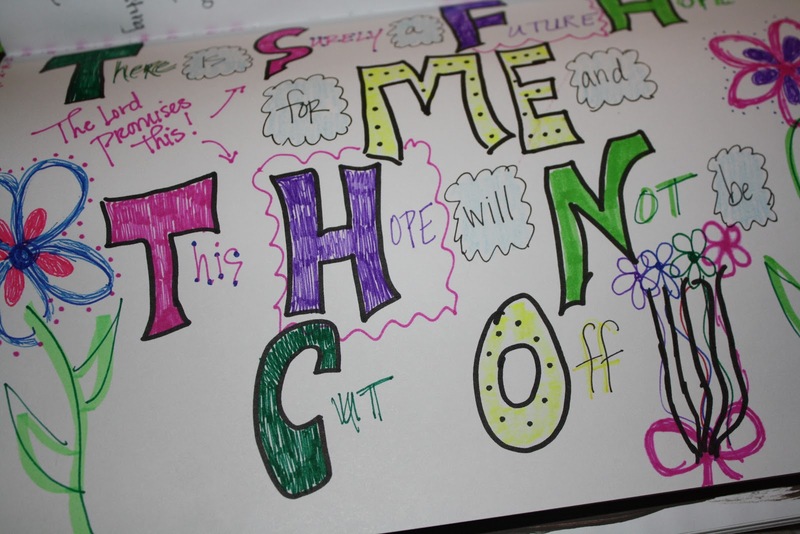 I love how creative you are with color and the handwriting! Thank you so much for your sweet words of encouragement about the creativity! I have loved delving more into scripture and meditating on God's word in a "creative way" over the past years. It has definitely helped me to really remember and memorize scripture!